"I like piano because it is an awesome instrument which has a beautiful tone so you can express your feelings freely when you are playing it. For me, I am grateful having Anna as my piano teacher. Anna teaches me different types of pieces but all interesting and pleasant. She also teaches me many very important hand skills that make my hands flexible enough to play more beautifully. I enjoy going to her classes to learn piano every time." "Learning with Anna is a great experience because she goes through our pieces together with us slowly and carefully. Anna is never pushing us forward if we are not ready. For sight-reading, she helps us bit by bit and goes through anything we are not sure of. In each lesson if we are doing well, we get a little treat and that is yoga. We get to have bit of a rest and fun." "I like learning with Anna because each day after my piano lesson I get better! Since I don’t point my pinky she finds exercises to help me fix it up. Sometimes she tells me more about composers so I know more than before. Anna is a fun teacher to be with while I learn with her. I LOVE PLAYING PIANO!" "I have studied the piano with Anna Carson since 2009. She is a very generous, kind and happy person. She has taught me many important things about playing technique and useful hints about playing chamber music and accompanying others. Anna is very good at helping students to find their own voice in music. She also shares her great ideas on piano teaching with me. I really enjoy her piano lessons!! Anna is very passionate about her piano and yoga teaching. From her yoga classes, I become more aware of the connection between my body and mind. This has had a positive influence on my playing technique and performances. Like Anna said “﻿﻿A ﻿healthier bod﻿y means a healthier mind, when your mind is healthier, your life is happier! "﻿﻿ I am truly grateful for everything Anna has taught me." "Since starting yoga with Anna I have had less performance anxiety, been able to connect my breath with my playing and have less muscle tightness and pain in my lower back. The classes leave me feeling relaxed and I’ve noticed that I always sleep well after each session. 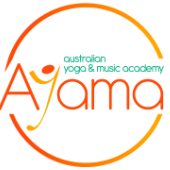 I would especially recommend yoga classes at AYAMA to musicians. The individual focus is hard to find at other classes and ensures that we are doing postures safely. The focus on music and Anna’s knowledge of our instruments helps her to understand what specific postural issues we might have. The small class size adds something that I haven't had in a yoga class before and means that the sessions feel more personal and can be tailored to suit everyone."